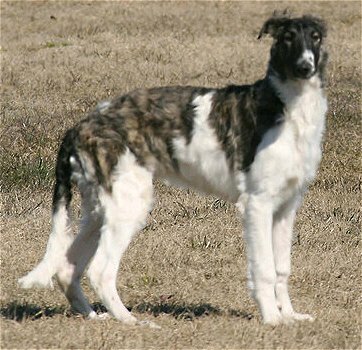 Lars is one of the pups from our Metallica Litter, out of our workaholic field girl Flareon and sired by the Burni-man (a Nikki son). 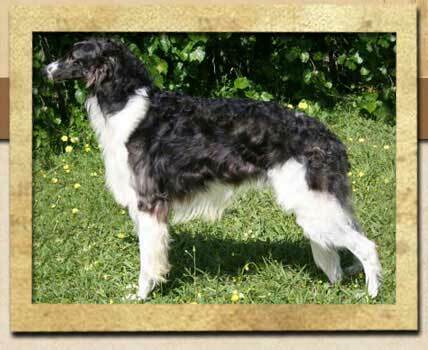 He has a BIG sidegait coupled with sound coming and going and a super out-going temperament. He is a fabulous combination of his parents. 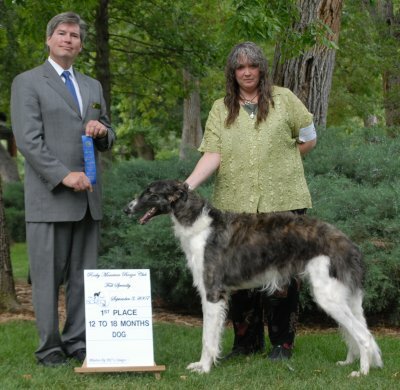 He is pictured above winning his class (12-18 Month) at the RMBC Specialty (September 2007) at a day over his first birthday (judge: Jon Steele, Auroral). 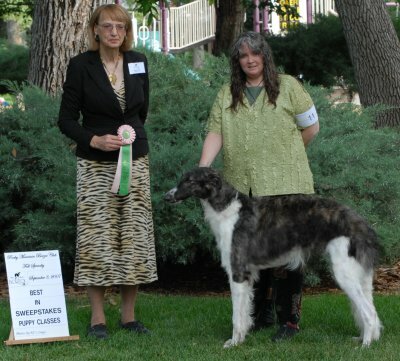 That same day he also won Best in Puppy Sweepstakes (picture below) under judge Barbara Curtis (Calle Delle). RMBC photos by KC's Snaps.